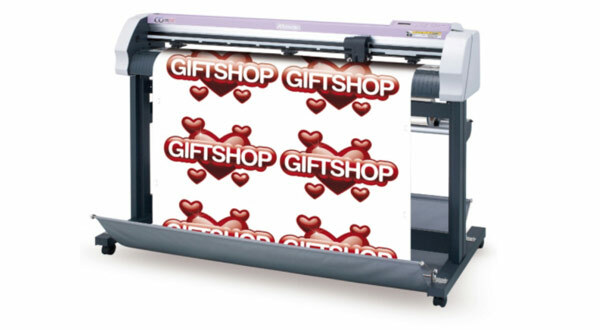 Our Mimaki’s CG-FXII cutter and plotter offers precision contour cutting, half cutting and die cutting to make stickers, labels, decals, and more. With the half cut function, the backing sheet is cut, but a few connection points are left to hold the decal in place. The decal can then be easily detached from the rest of the media. Various media without a backing sheet can also be cut.